Holiday Inn Resort Phuket Mai Khao Beach is a choice for travellers who need an accommodation close to the Phuket international airport. It is also suitable for families with kids since the hotel offers rich entertainment program and entertaining infrastructure. We stayed at this resort just one night before travelling back to Europe after a 10-day vacation in Thailand. Located on the longest Phuket’s beach, the Holiday Inn Resort Phuket Mai Khao Beach is one of the fewest on the island with an access to clear seawater and untouched tropical nature. 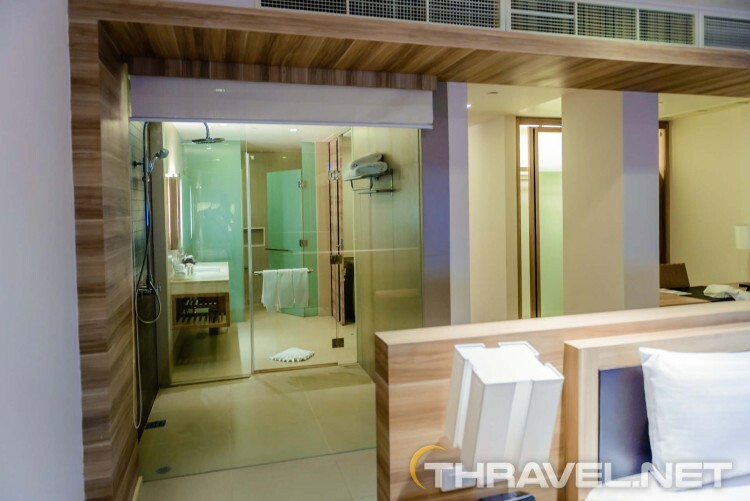 The hotel is on a miles-long stretch of the western coastline of the island of Phuket. The crowd-free area is part of Sirinat National Park. It is a quiet and unspoiled region in one of the most frequented Thailand’s islands. The place is clean and well maintained – without any trash on the beach. A big comparison to what we could see on other resorts in Phuket such as Patong beach. 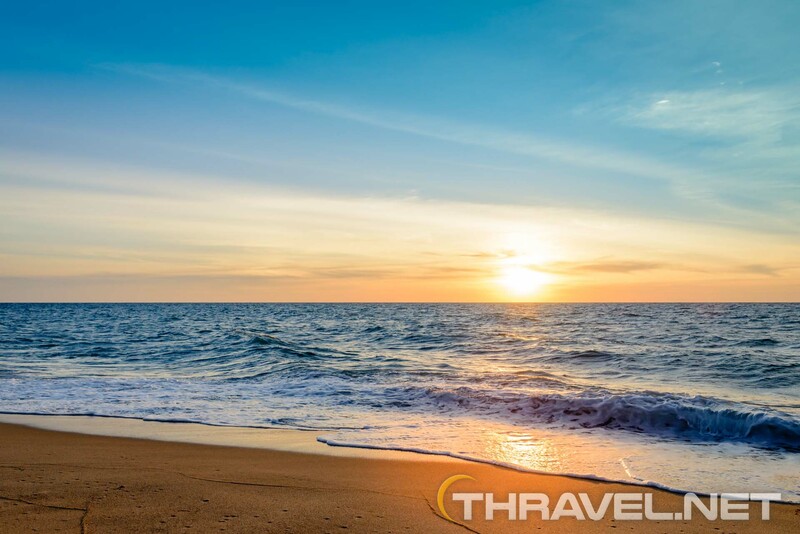 That is why Mai Khao beach is considered to be a resort with best-preserved sand beaches in Phuket. 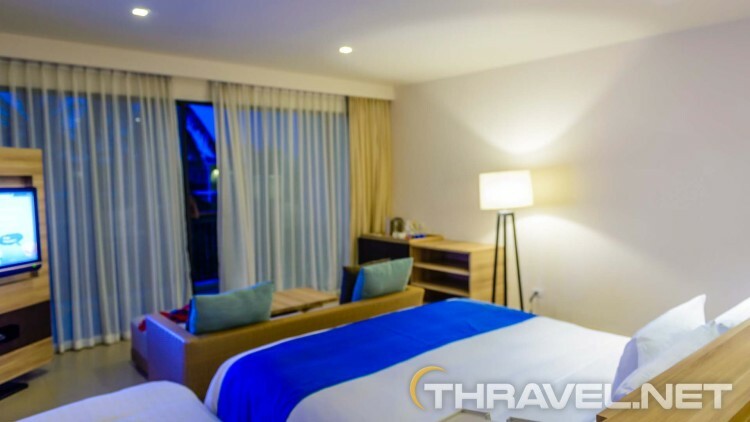 The Holiday Inn resort is 15-20-minute drive from Phuket International Airport. Although the distance was short, shuttle services to the airport were expensive. We paid TBH 1000 (31 USD) which was equal to the price of an hour journey with a private car from the Rassada pier to Mai Khao. We booked a deluxe room with a garden view which was as enormous as an apartment. That was unusual for a Phuket hotel. In fact, all rooms were luxurious and spacious. The contemporary styled room was decorated with wooden furniture and soft linens. We had a choice of two types of pillows – soft and firm. In Holiday Inn Mai Khao we enjoyed all modern conveniences. According to hotels website, the bright and airy room was 41 square metres. There was a set of queen beds, a single bed for our daughter, a sofa facing the balcony and the garden. Probably the most impressive amenity was the bathroom. It was separated from the toilet. It featured three window walls with shading curtains. 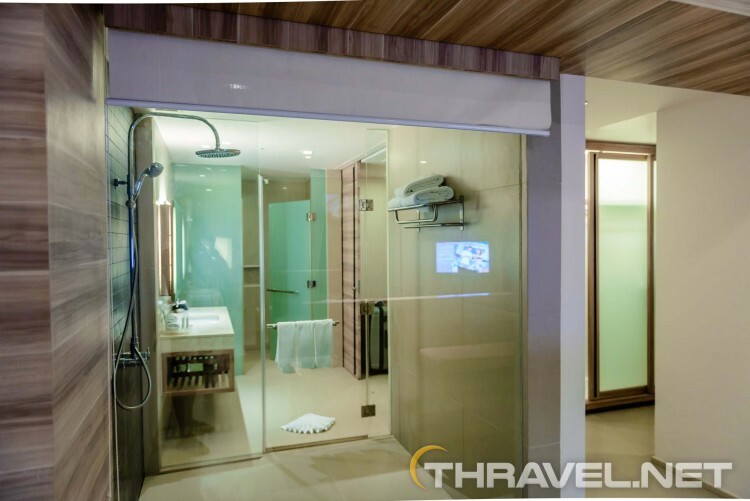 We could watch TV while having a shower! What we did not like was the balcony. There were only 2 chairs for three of us and a small table. Next time we would opt for a family suite with a private garden patio. The deluxe room was perfect for us but we really liked the pool access rooms. This type of accommodation offers a constant access to a private pool. It was nice that there was a water and ice dispenser machine in common grounds. The Holiday Inn Resort in Mai Khao features a large infinity swimming pool. It is a venue for most of the entertaining activities in the resort. The pool is beautiful with a nice view to the Andaman Sea. The resort sits beautiful beach that is great to go for a walk. What a pity that it was not suitable for swimming! The current was so heavy! Beside the resort we found a typical fruit market and some fantastic cheap restaurants. Prices were twice as cheap as in eateries in Krabi. And the food we tasted was really good. We recommend Mama restaurant and Noonit kitchen because of fresh ingredients and authentic taste of the food. Each curry meal cost TBH 100 (3 USD). Market offers fresh mango, Passion fruit, Dragon fruit, etc at a price of less than 1 USD per kilo. The most expensive good was the mangosteen that cost TBH 250/8 USD per kilo. 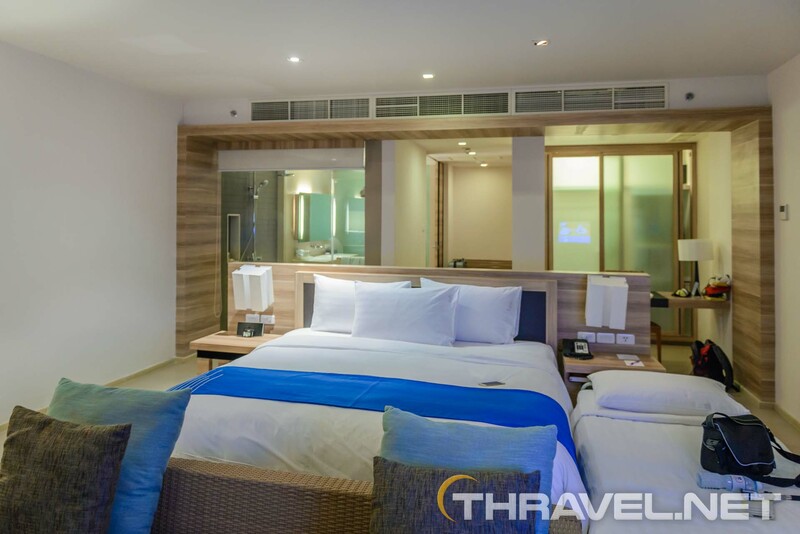 From our short stay at Holiday Inn Resort Phuket Mai Khao Beach, we found it to be a nice place to stay for a couple of days. It could be a starting point for trips to Phang Nga, Krabi and Similan islands.